Let me begin by saying that I haven’t played a Silent Hill game since the original PSOne classic came out in 1999. Apparently I am missing out because I have heard nothing but rave reviews for most of the PS2 games. 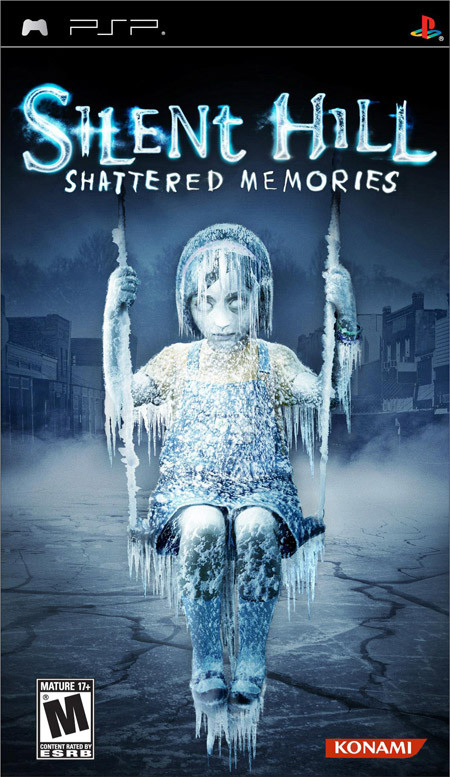 As a way for me to get back into the series, I picked up Silent Hill: Shattered Memories. Some will say that this is a bit of an odd choice to begin with since the game labels itself as a “revisioning” of the first game, and it is quite a bit different from the the rest of the series. Still, I got sucked into the psychological side of Shattered Memories, and that’s what maintained my interest throughout. Right from the start, the game opens with a red “Psychology Warning” screen similar to the FBI warnings that preface movie DVDs. The message claims that “it gets to know who you really are” and that “the game plays you as much as you play it.” Bold statements to be sure, but I have to admit I was intrigued by this idea. The game uses psychology in the form of therapy sequences in which you answer a series of personal questions. Your answers to these questions ultimately shape the game around you, and there will be several differences in the game depending on your responses. Some are subtle, such as a tavern turning into either a sports bar or an Irish pub, but others are significant and can lead to some pretty wild endings. It’s a neat feature, and I would love to see more games do something like this. 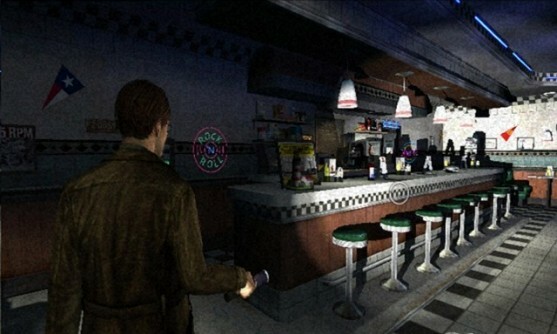 Just like the original Silent Hill, you play as Harry Mason as he searches for his missing daughter in the eponymous town. Some familiar faces pop up but they are completely different than you may remember. This is a brand new adventure, and the story is a fresh take on the original concept. The game is decidely split into two styles of gameplay. The main portion revolves around Harry searching frantically for signs of his daughter, finding clues and asking people for help. These segments are completely devoid of combat, which takes some getting used to. Whereas typical survival horror games rely on the unknown and keeping an eye out for unwanted surprises, Shattered Memories has none of this. In the main segments, there are no enemies and it is impossible to get hurt. Instead, occasional puzzles are thrown in the mix to keep interest while Harry is exploring the town. This could get pretty boring actually, but Climax keeps the suspense in tact by throwing a bunch of plot curveballs your way while focusing on some interesting character development. The other style of gameplay comes in the form of nightmares. 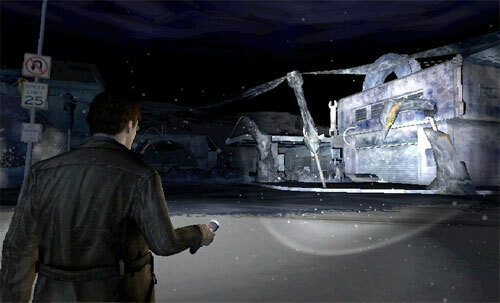 In these scenes, nearly everything in the world turns to ice, and Harry has to escape these environments to get things back to normal. The catch is that there are enemies in these areas, and they can kill you. You can’t fight back other than to throw them off your back. This can lead to some frantic situations when a bunch of them hunt you down and jump you at the same time. Unfortunately, while these segments are meant to provide some sense of thrills in the game, they are very poorly executed. The nightmares essentially turn into a series of trial and error sequences where you quickly run from door to door with no clear idea of where to go next. There’s nothing you can do other than keep trying to find the exit while hoping the enemies don’t catch up to you. After a while, I began to dread these moments. Not because they were scary, but because they were just not fun. It’s been a while since I played this, but I don’t remember being scared at all.